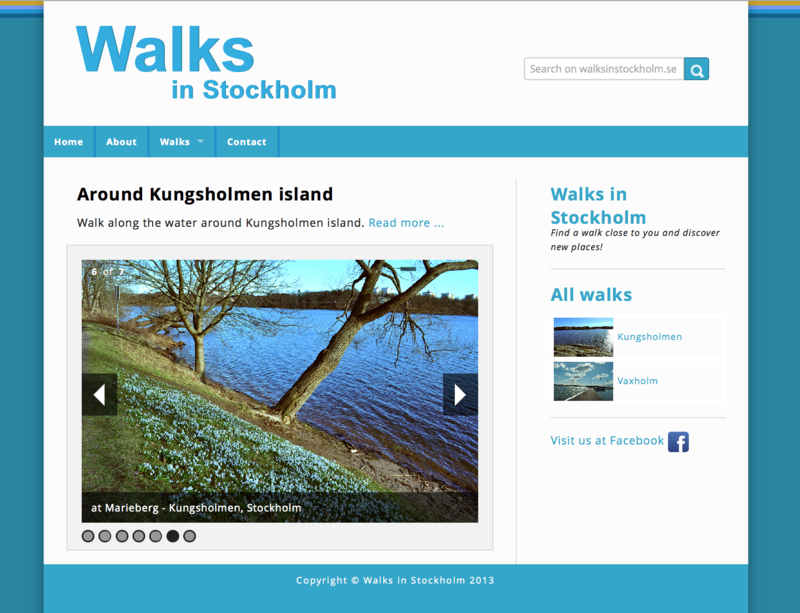 Mission: Develop a Prototype for responsive Web Application, ‘Walks in Stockholm’. Goal: User can find interesting walks in Stockholm, Sweden. Requirements: Website should work well in mobile phones, tablets and computer screens. Content should be same for all platforms. Responsive framework: The prototype is based on responsive framework (Foundation). ‘Responsive’ means that the web site design and layout adapts to different types of devices such as computer monitors, tablets and mobile phones.